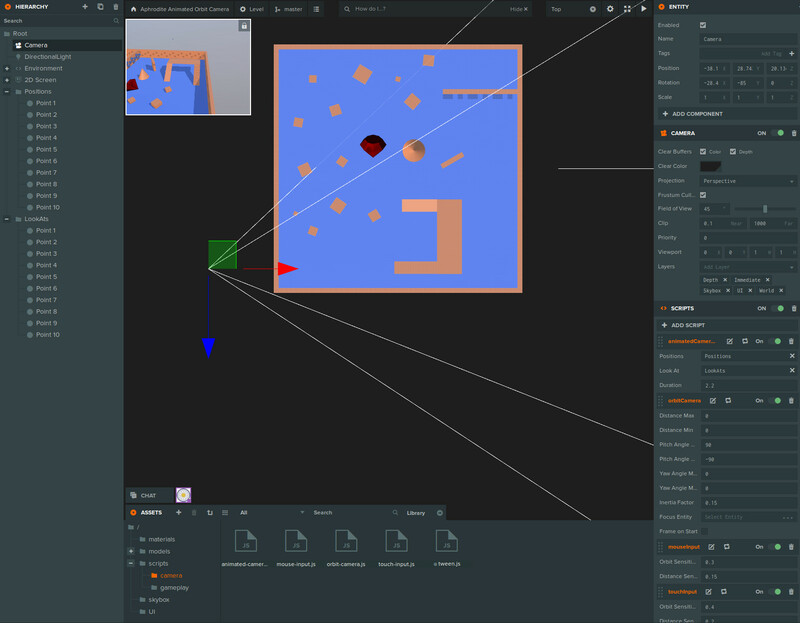 A PlayCanvas ready to play starter kit with an animated camera orbit script that uses easy to setup position and look at points. See a live sample here! A complete PlayCanvas project is forked and added to your account. You will be receiving a ready to play project and access to the full source code. You can use it to quickly create animated paths for product configurators, architectural visualizations or game cut-scenes. Easily setup an animated path by providing a list of points. Control fully where the camera looks at by creating a second list of look at points. That’s it, you now have an animated path! Based on the standard PlayCanvas model viewer Orbit Camera scripts with support for zoom, pan and orbit in both desktop and mobile. Uses the PlayCanvas tween.js library to smoothly interpolate between points. On each rest point between animations you can freely orbit, pan and zoom. As soon as the animation resumes the camera will be smoothly animated in place. Easy to understand source code, exposing pc.Events to start the animation from any script. Here are a few suggestions, based off the example. Indeed that would be useful when switching animation states, thanks we will do this. Can you elaborate a bit? You mean having different constraints per rest point? Currently the constraints are the global ones defined in the orbitCamera script (min/max distance, pitch, yaw). That would be useful as well and not very hard to do having them per point. Added method to go to a point using tags (e.g. go to platform). 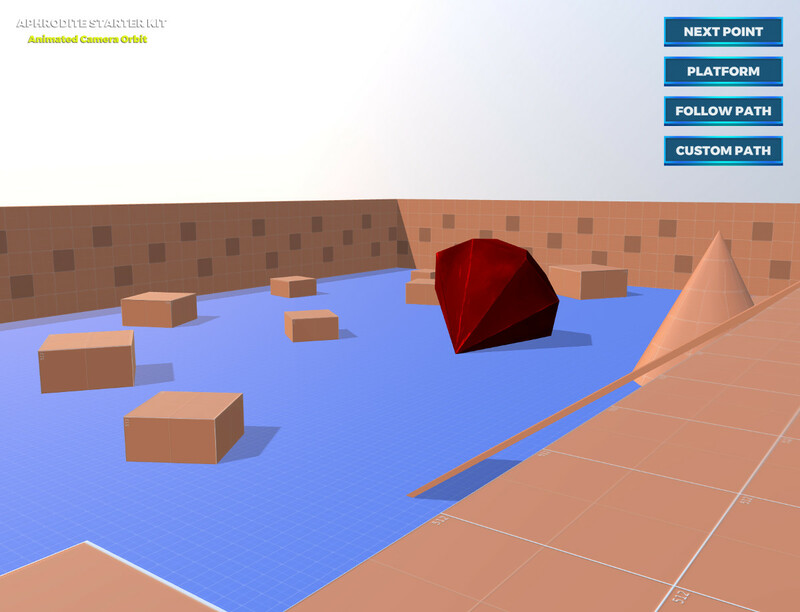 Added method to navigate to a list of points, creating a path. Much smoother transitions when stopping/starting an animation midway.